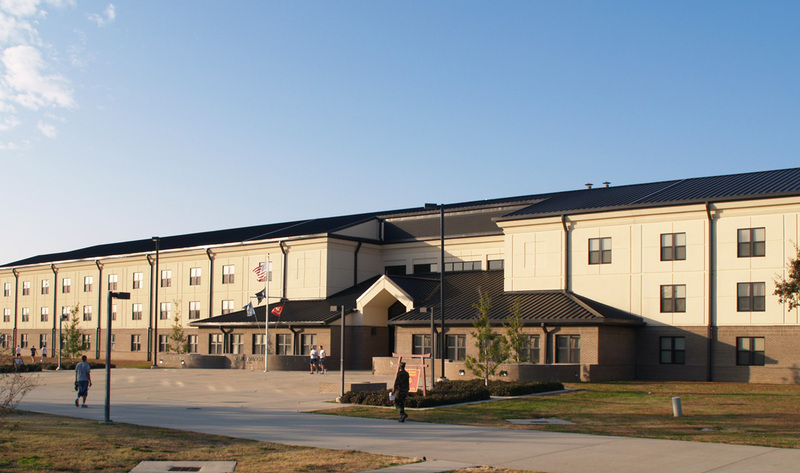 Benham provided full A/E design for this living campus serving students attending the AETC technical training center. 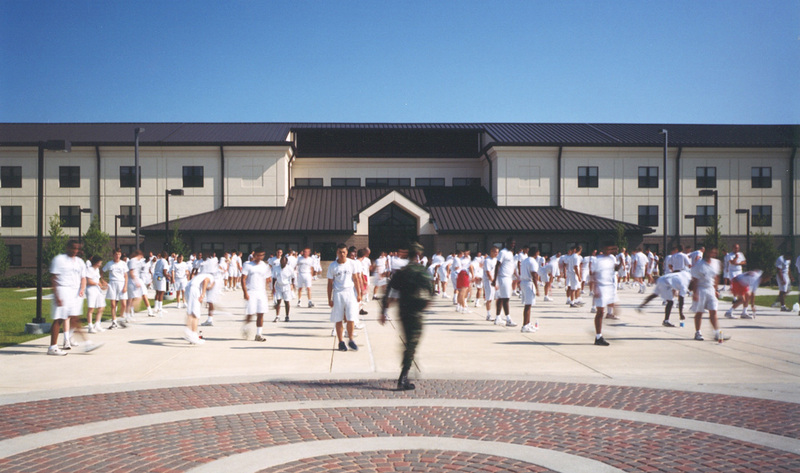 The campus includes seven dormitories and a dining facility. Each living unit in the 400-person dormitories was designed for double occupancy, and features two closets, separate lavatories and a bathroom with shower. Common areas include administrative offices, a conference room, a multi-purpose room, vending rooms, day rooms and laundries. The dormitories were designed to provide security through central reception module on the first floor. In addition to providing the main dining and kitchen facilities supporting the campus, the dining facility also features a bakery, a central preparation kitchen and an in-flight kitchen all providing food service to a variety of other functions at Keesler AFB.